I hope everyone had a great Thanksgiving and I’m guessing if you are reading this, you survived Black Friday. If you had the opportunity to hunt the last few days, you know it has been unseasonably warm. With the warmer temperatures and deer wearing their winter coats, activity has been slow. Up until the evening of Black Friday, I had not heard many shots or seen many deer. With several days of rain about to set-in thru at least Sunday, deer were on their feet early this evening. I started seeing deer and hearing shots around 3:15 and if it hadn’t been for a swirling wind, I probably would have seen more. The last couple of days of Kentucky’s gun season could be a wash. They are calling for 100 percent chance of rain until Sunday sometime. If the rain moves out some time Sunday, the afternoon could be a great evening to hunt before rifle season concludes. 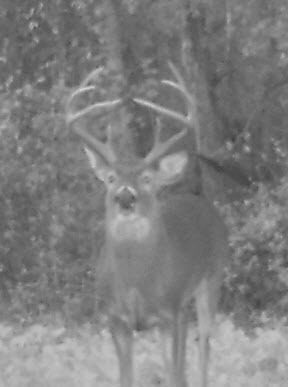 I haven’t seen or heard about too much rutting activity, but I am sure the big bucks are still looking for the last remaining does. Deer will be changing their focus to food and my morning hunts are about over. 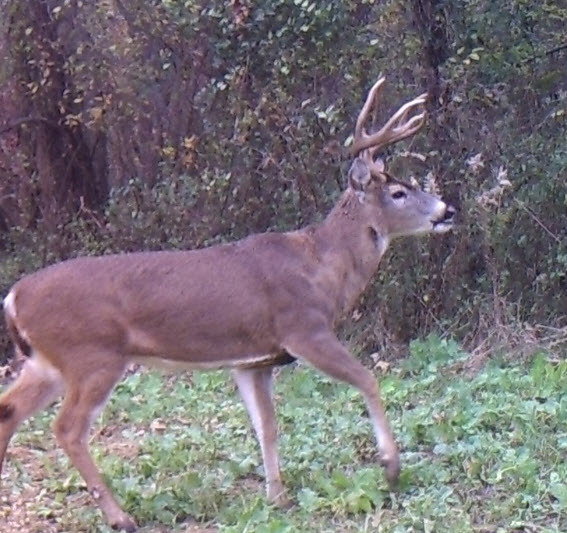 Checkout this week’s show to see how we will adjust to the change in the deer’s focus. The featured picture is a buck my son and I have been hunting the last two weeks, Mr. Crabs. Every time we get in the stand on the farm he is frequenting, he doesn’t show or present us a shot. Every time I have to work or our schedules hinder us from going, he shows. He is about to drive us crazy.